Tricyclic Antidepressants: Do They Work? The use of tricyclic antidepressants has expanded since the drug’s accidental discovery in the 1950s. 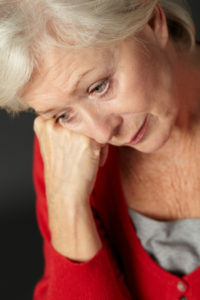 Don't mix tricyclic antidepressants with alcohol, cimetidine (Tagamet), certain bowel-prep products, or St. John’s Wort. Tricyclic antidepressants were one of the original drugs prescribed for depression and obsessive-compulsive disorder. “Tricyclic” refers to the presence of three rings, or atoms, in the chemical structure of these drugs. Tricyclic antidepressants also are used for anxiety, fibromyalgia, and chronic pain. Physicians may prescribe tricyclic antidepressants for diabetes, shingles, migraines, panic disorders, and phantom limb pain, according to EverydayHealth.com. Tricyclic antidepressants were found by accident in the 1950s, according to Time.com. Swiss scientists were searching for a treatment for schizophrenia and found a drug that tweaked the balance neurotransmitters (norepinephrine and serotonin), which sent patients into spells of euphoria. While the drug worsened schizophrenia, it was quickly recognized as an aid for depression. The release of imipramine (marketed as Tofranil in 1958), the first drug in the tricyclic antidepressants category, was heralded as a “miracle cure” for depression. No drug is without side effects, and they vary with the individual. Caution needs to be used, with full disclosure to your physician about other drugs or supplements you use. Tricyclic antidepressants shouldn’t be mixed with alcohol, cimetidine (Tagamet), some bowel-prep products, or St. John’s Wort. Prescription medicines, including MOAIs, may also cause dangerous interactions with tricyclic antidepressants. A new study shows there may be an increased risk of cardiovascular disease (CVD) with tricyclic antidepressants. The University College London (UCL) study, published in the European Heart Journal, showed that tricyclic antidepressants were associated with a 35 percent increased risk of CVD. They found no increased risk with the newer anti-depressants, such as the selective serotonin reuptake inhibitors (SSRIs), say the researchers. 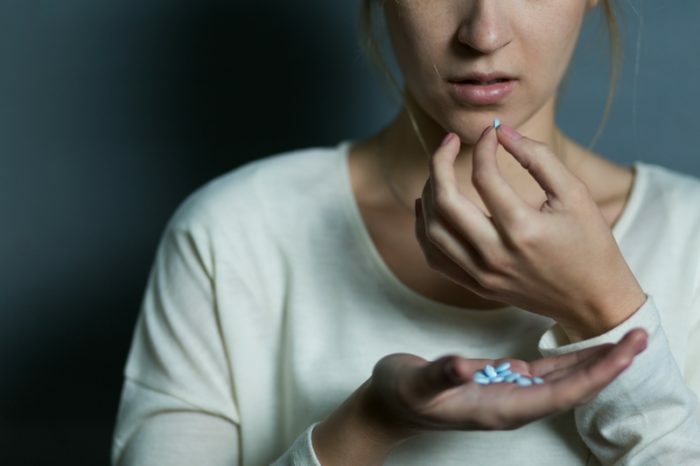 According to Livestrong.com, tricyclic antidepressants, like all prescription antidepressants, carry an FDA-mandated warning about an increased risk of suicidal thinking and behavior in children, adolescents, and young adults associated with use of these medications. Indeed, these drugs are not recommended for those under age 25 or over age 65. Nortriptyline (Pamelor, Aventyl) is a tricyclic antidepressant that stops the growth of abnormal proteins that can build up in the brain and lead to the development of Parkinson’s, according to a Michigan State University study published in the journal Neurobiology of Disease. Nortriptyline is used to treat depression and nerve pain. The researchers were wanted to see if antidepressants could delay the need to go on the standard Parkinson’s therapy called levodopa (Sinemet). Levodopa increases levels of dopamine, a natural chemical in the body that sends signals to other nerve cells and can significantly decrease in cases of Parkinson’s. “We found that those on a certain class of antidepressant, called tricyclics, didn’t need the levodopa therapy until much later compared to those who weren’t on that type of antidepressant medication,” explains Tim Collier, lead author of the federally funded study and a neuroscientist at MSU. “What we’ve essentially shown is that an already FDA-approved drug that’s been studied over 50 years and is relatively well tolerated could be a much simpler approach to treating the disease itself, not just the symptoms,” Collier says. abdominal cramps, alcohol, anti depressants, antidepressant, antidepressants, anxiety, anxiety in women, appetite, blood pressure, brain, cardiovascular, cardiovascular disease, causes depression, children, chronic pain, constipation, cramps, cure depression, cvd, depression, depression and anxiety, depression brain chemistry, diabetes, dizziness, dopamine, erectile, erectile dysfunction, exercise, fermented foods, fibromyalgia, fight depression, foods that fight depression, for depression, health, how to cure depression, hypertension, hypotension, increased appetite, insomnia 2, lavender, losing weight, low libido, mental illness, migraines, nerve pain, pain, phantom limb pain, physical activity, physical exercise, schizophrenia, selective serotonin reuptake inhibitors, serotonin, serotonin reuptake, serotonin reuptake inhibitors, Shingles, side effects, signs of anxiety, signs of anxiety in women, smoking, stress, supplements, symptoms of depression, symptoms of depression and anxiety, to treat depression, treat depression, tricyclic antidepressants, weight gain, what causes depression. I thought you might be interested in this article on https://universityhealthnews.com: Tricyclic Antidepressants: Do They Work?